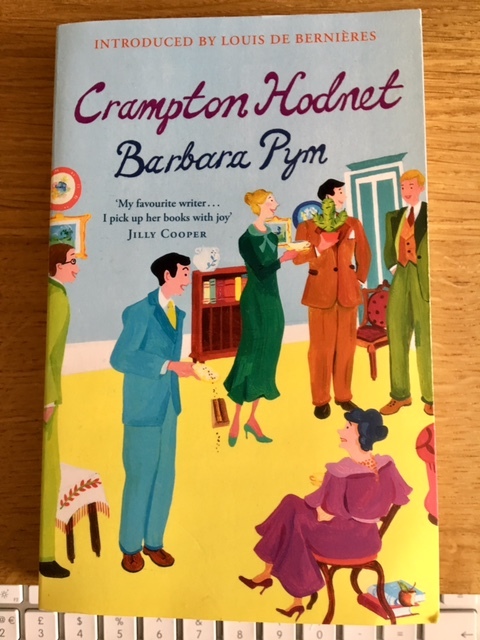 This entry was posted in English Literature and tagged Barbara Pym, Crampton Hodnet, Elizabeth Taylor, Elizabeth Taylor Complete Short Stories, Mrs Palfrey at the Claremont by Simon Lavery. Bookmark the permalink. Lovely. 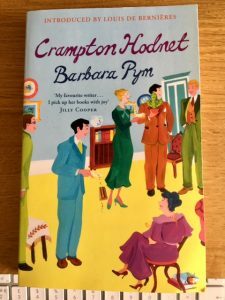 There’s nothing quite like Barbara Pym you capture her beautifully. Thanks! It’s such fun to read. I found this early Pym a rather entertaining read, perhaps more so than you did. It does perhaps lack the depth of something like Excellent Women, but those scenes with Miss Doggett are a hoot! Jacqui: Miss D is a wonderful creation, but some of the minor characters I found cipher-like, & don’t think Hazel Holt edited out all of the repetitions & over-written parts. Still great fun, though. Liz, thanks for the link. Just read your piece: you clearly enjoyed the novel! As Jacqui says above, it is quite a hoot! That reference to Latimer as being like a marmalade cat is spot on. But I do feel Hazel Holt’s editing could have been more judicious – there are a few creaks in the plot. But the characterisation and writing are so full of zest and wit, they more than make up for the farcical caperings. Yes, I agree. Glad you enjoyed the reviews. I need some Pym re-reading, I feel, and soon! Thank you for a wonderful entry on Pym. I think she really does stand up as the decades march on. Her characterizations are marvelous and her gentle wry irony is delicious. In additional to her memorable characters, I love her portrait of the cat, Faustina, in _An Unsuitable Attachment_. Nicely captured. Such a good title this one. I do plan to read this, but not as my next Pym. It sounds as you say not the strongest, but still definitely fun and worthwhile. Not an entry point but not one to ignore either. Thanks, Max. The title is so typical of her fine ear for language: it sounds like an anagram, and deliciously silly. Though not her strongest novel, she’s still incapable of writing a dull book. The subject matter isn’t too promising, and bumbling curates may not be the matter of Dostoevsky, but there’s still a place in literature for the skewering of hypocrisy, stupidity and inappropriate behaviour…I didn’t laugh out loud as much as Hazel Holt suggests is inevitable in her Note at the start of the VMC edition, but I did chuckle during the toe-curling proposal scene with Latimer and Miss Morrow. The ill-advised, aborted elopement has some prime moments, too.